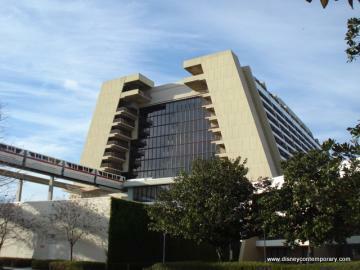 Overnight parking fees are coming to Walt Disney World Resort Hotels. Guests who book their reservations after March 21, 2018, will be charged an overnight parking fee of $24 per night at Disney's Contemporary Resort. Reservations books before March 21 (for any dates) are not affected by this change in parking fees. The overnight parking fee for all Deluxe and Deluxe Villa hotels is $24 per night. Valet Parking is available at select Disney Deluxe Resorts and Disney Deluxe Villas for $33 per night. The overnight parking fees will be added to guest folios at check-out. Guests who are visiting the Contemporary (or any other Disney hotel) for the day - for shopping or dining or just to visit - will still have complimentary self-parking. What do you think about the new overnight parking fees? Let us know with a comment.